Concierge Introductions takes the pressure off men in the dating scene by making the arrangements and setting up meetings with lovely women. John, a 63-year-old retired stockbroker, considered traveling to Eastern Europe to meet attractive singles. “But after talking to Katya at Concierge Introductions, I changed my mind,” he said. Instead, he trusted the matchmaking team to scout personalized date prospects worldwide and set him up with the right woman. Many of the women who use our high end dating site are from Eastern European countries who have immigrated to the United States, but who aren’t particularly comfortable in a foreign culture meeting the right kind of men. Women from South Florida and all around the world use our service, as well. Unlike other services, all the women who sign up with our Fort Lauderdale matchmaker service are real. We do not use models for our photographs, nor do we send models or escorts on dates with male clients. Both the women and who contact our Boca Raton dating service are classy, marriage-minded, and are seeking a genuine relationship. Read on to learn more about what our millionaire concierge service can do for you. One of the advantages Concierge Introductions has over similar types of services is that we are 100% owner-operated, so we provide our clients with meticulous personal care and attention. As a high end dating site in Boca Raton, we believe you should be able to reach us anytime you need to by phone or e-mail without having to deal with sales people, secretaries, or other third parties. Our focus is not only to provide a Russian dating service in Fort Lauderdale, but to truly assist our male clients in meeting the woman who is going to match his personality type and be suited to his lifestyle and interests. Therefore, we make our millionaire dating agency fully accessible and available to help meet your needs. Some clients prefer to date European women who live abroad, and we are equipped to help meet those requests. Others, however, are comfortable meeting Russian brides in Palm Beach, Boca Raton, Fort Lauderdale and throughout South Florida who have moved to the United States and are already settled here. Many Russian girls are available for dating right here in Boca Raton who are seeking the right way to meet the right kind of men. Men who want to meet Russian women are interviewed and must meet our specific requirements in order to use our service, including the desire to meet someone special who matches your personality and type and criteria, whether you are looking for a Russian lady who has relocated to Palm Beach or a potential Fort Lauderdale Ukrainian bride. Likewise, all of the women who use our millionaire concierge service as a high end dating site in Fort Lauderdale are fully screened and personally interviewed. 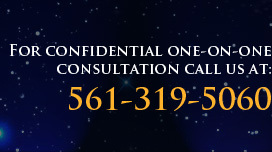 We require that all of our clients be single and ready to begin a serious relationship with someone special. Concierge Introductions provides a completely confidential service for executive, professional men interested in dating hot girls in Fort Lauderdale or who are seeking hot Russian brides in Fort Lauderdale. We provide completely discreet, comfortable and often unique situations for couples to meet based upon individual situations. Our millionaire matchmaker service in Boca Raton provides upscale introductions for men who may not have the time to seek out women for dating but desire a genuine relationship and are interested in dating Russian women In Fort Lauderdale and surrounding areas. Wealthy men who are interested in dating Jupiter women are interviewed and their personal information is verified. Single, upscale, professional men looking for a real relationship may call our millionaire dating agency at 561-319-5060 to schedule a personal interview. During the interview, you will sign an agreement and complete an extensive personal questionnaire for the purpose of finding out more about you and who you would be most compatible with, as well as your dating preferences. After this initial meeting, we begin immediately to find a perfect match for you and to set up a discreet and comfortable place for the two of you to meet and be introduced. Our women are all attractive, gorgeous, intelligent, and marriage-minded, whether Eastern European women relocated in America or still abroad. Many of our single ladies have traditional values and are seeking sophisticated and wealthy men for serious relationships and possibly marriage. There are many beautiful Russian girls in Palm Beach and throughout South Florida who are financially independent, as well as physically and emotionally healthy, but have had trouble meeting the right men. Signing up with us is free for women; however, it involves more than filling out an application online. We meet with the women and interview them extensively to ascertain that they are genuine and honest in desiring to meet men to begin a real relationship that may lead to marriage. We provide hundreds of photographs of women for our clients to browse, all of whom are lovely, and will certainly satisfy the aesthetic requirements of men who want to meet models in Boca Raton and Russian women looking for marriage in Palm Beach and throughout South Florida. Executive men interested in dating models in Palm Beach & Broward County, as well as men seeking to find women in Eastern European countries, will benefit from our Fort Lauderdale executive matchmaking services. Our Boca Raton professional dating services will go the extra mile to assist men who are too busy or timid to approach specific women who are not found in our database. We will discreetly and professionally approach women of interest for our clients. We also actively invite Eastern European women who are seeking millionaire dating in Jupiter, Fort Lauderdale, Boca Raton, Palm Beach, and throughout South Florida and the United States to contact us by filling out our online form. We provide introductions for women not only in the South Florida region, but throughout America, Russia, the Ukraine, Poland and throughout the world. To begin the process of meeting eligible, beautiful, sophisticated women in South Florida, contact Concierge Introductions at 561.319.5060 to schedule an interview. Our millionaire concierge service will get to know you with the help of an extensive questionnaire and begin searching for your perfect match. If calling is inconvenient, fill out the online application and we will respond within 48 hours.